Ahmedabad Dist. Co-op. Milk Producers' Union Ltd (Uttam Dairy) has published Advertisement for below mentioned Posts 2017. Other details like age limit, educational qualification, selection process, application fee and how to apply are given below. A degree in Dairy Technology'/ Food Technology /Engineering I Animal Husbandry. Candidates having Business/Marketing Management Degree/Diploma from a recognized university will be considered as an additional qualification. EXPERIENCE: Minimum 10 years experience in Managerial cadre: 'Out of that 03 years experience in Dairy/Food processing plant is essential. Candidate must be result oriented. (A) Network Engineer:- 'The incumbent should be Bachelor's degree B.E./B.Tech in Computer Science with minimum 2-5 years relevant experience. Industry Certification : CCNNCCNP/MCSNITIL is mandatory. (B) Software Engineer:- Bachelor's degree B.E./B.Tech./M.C.A. in computer science I I.T. with 2-3 years experience. industry Certification:- Any certified developer certification (NET/ Java) will be added advantage. MCSNDatabase management skills will be an added advantage. Address to sent Applications: The in-charge Managing Director, Ahmedabad Dist. Co-op. 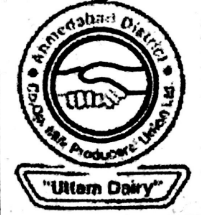 Milk Producers' Union Ltd (Uttam Dairy), Near Sukhramnagar, Gomtipur, Ahmedabad·380 021.